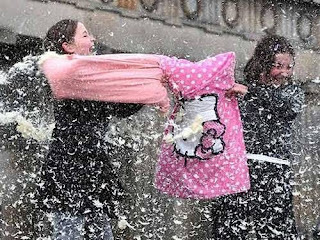 Matt Mikalatos: HAPPY INTERNATIONAL PILLOW FIGHT DAY! Don't forget, today is International Pillow Fight Day! Click on the link to find a fight near you.